Commercial Paving | Mike & Son Asphalt, Inc. If you are looking for high-quality commercial paving services, look no further. At Mike & Son Asphalt, you will receive commercial paving services that are reliable and unmatched in quality. We are proud to work with a variety of businesses offering paving solutions that meet their needs. We can handle everything from installation of a new parking lot, line striping, to repair, maintenance, and complete resurfacing. We are your local commercial paving contractors serving Bath, Michigan and surrounding areas. 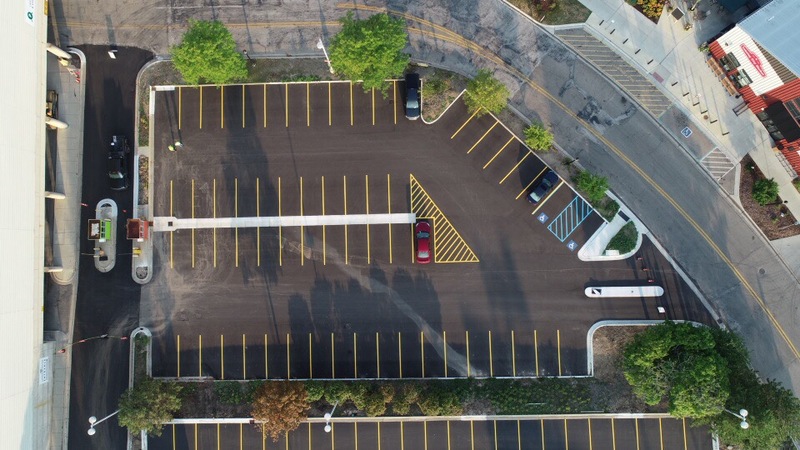 Our goal is to help you maintain your asphalt parking lot – we want to handle everything from installation and maintenance to repair and repaving. We pride ourselves on our experience and expertise in the industry. We hold ourselves to a high standard and always strive to provide the best service possible. No matter your commercial paving needs, Mike & Son Asphalt is here to help. Mike & Son Asphalt is your local source for reliable, high-quality commercial paving services, handling everything from business parking lots to driveways. If you are looking for high-quality commercial paving services in Bath, Michigan and surrounding areas, contact Mike & Son Asphalt today at (517) 651-5520. Contact us today for more information – and remember, no matter your commercial paving needs, Mike & Son Asphalt is here to help!